The word aqueduct derives from the Latin words aqua meaning water and ducere meaning to lead. An aqueduct is therefore best described as an artificially structure such as a channel, tunnel, or ditch, that is used to transport water from a remote location to another. 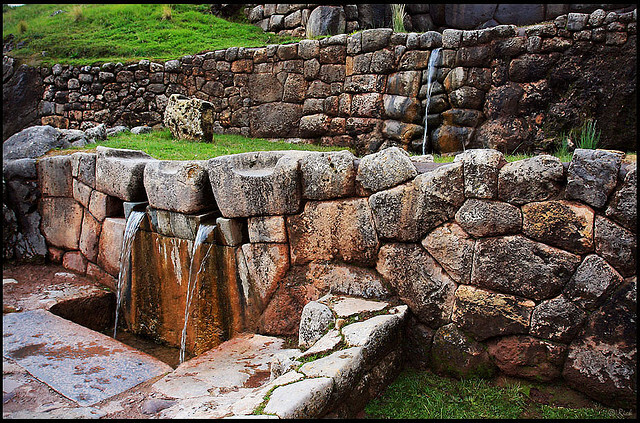 The very first aqueducts were constructed by ancient civilizations such as those in Babylon, Assyria, and Egypt. These primitive aqueducts were built simply as open canals dug out between a river and city. The most famous engineers of aqueducts amongst all ancient civilizations were the Romans however. Over a period of 500 years the Romans constructed about 11 ancient aqueducts that fueled their capital’s water supply and built many more throughout their empire.